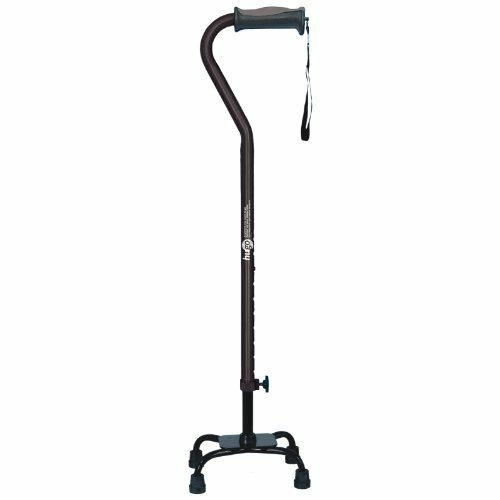 Fits Most People Between: 5' - 6'5"
Handle Height Adjustments (handle to floor): 2'4" - 3'3"
Assembled Dimensions (open): 1.0" x 1.0" x 28.0"
View More In Canes, Crutches & Accessories. If you have any questions about this product by Drive Medical, contact us by completing and submitting the form below. If you are looking for a specif part number, please include it with your message. Walking Cane-White marbleized left hand. This wooden cane has a palm grip molded handle good for those with arthritis problems. This walking stick cane has a 36 inches long hardwood shaft. This walking aid hast a weight capacity of 250 pounds.